Restorative and Therapeutic Yoga use active relaxation to “massage your body from the inside out”. 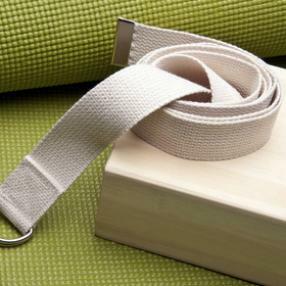 By liberally supporting you with props, Lynda will alternately stimulate and relax your body to move toward balance. Restorative and Therapeutic yoga are particularly beneficial for those times when you feel weak, fatigued, stressed, or are moving through a difficult life transition, illness or injury: or when you simply want to be nurtured in a deeply relaxing environment. Lynda may integrate some gentle yoga movements, breath work, iRest guided meditation or hands-on healing in the tradition of Thai Yoga Massage into these classes. Known as the “quiet, yet profound” practice. Through stillness, attention to breath and a willingness to be present… this class will invite students to find their “edge” and start to dismantle the holdings in the body. When we do this, we create room for growth and healing on all levels of body, mind, spirit. Postures are generally held for 3-5 mins so that the body has time to relax into the chosen shapes of practice. This class presupposes ease and awareness of foundational postures. More challenging postures are explored. Kripalu stage two is practiced and Kripalu stage three is introduced. More breathing techniques are learned as well as the application of locks during pranayama and posture flows. This is an energetic and dynamic class blending static and vinyasa. This class increases your strength, endurance and flexibility. This is *the* relaxation class. 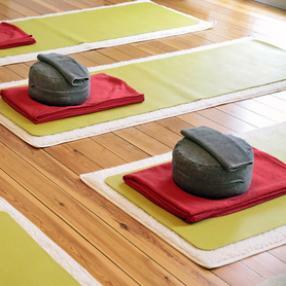 Warm restorative style yin practice that meets you on the mat where you are. Poses/ are guided with multiple options, prop & support suggestions to allow you to sink into each for 5-6min. Long rebounds (pauses) followed by gentle movement will help you open the body, slow the mind.